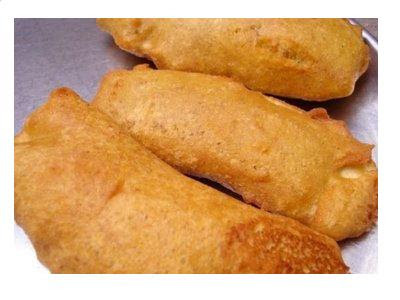 Banana fritters or bajji is popular in Kerala. These fritters are also made from raw banana or plantain but here I have used ripe bananas or 'pake hue kele'. Some people use rice flour to make kele ke pakore but I have used besan instead. What I feel is cooking is all about experimenting with ingredients and methods and make what suits your palate. 1. Mix together besan, salt, red chilli powder and baking powder. Add water little by little, mixing with other hand to form smooth, thick, lump free batter. Beat well. 2. Heat oil in a kadhai/ wok. Dip the banana pieces in the batter and deep fry 3-4 pieces at a time. 3. Fry till golden brown from both sides. Drain banana fritters on an absorbent paper. Serve hot.